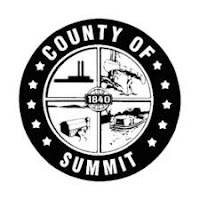 The Daily Digger: Summit County to Set Up "Pipeline Emergency Response Fund"
Summit County to Set Up "Pipeline Emergency Response Fund"
The Summit County Council on Monday formally approved the “Pipeline Emergency Response Fund” intended to pay for services in the event of a natural gas pipeline emergency in the county. Starting in 2021, the fund — proposed in response to the now-functioning $2.1 billion Nexus natural gas pipeline that runs through part of the county — will collect about $100,000 annually in property taxes from pipeline operators. The money will be used to pay for training, planning and equipment for local emergency responders. The council also on Monday received a 2019 preliminary operating budget. According to the county executive’s web site, the county is looking at a 2019 operating budget of $546.7 million, which is 1.7 percent higher than the 2018 adjusted budget of $537.7 million. The 2018 operating budget as originally passed in late 2017 totaled nearly $529.2 million. The county’s latest budget document says it projects revenue collection will be flat next year.